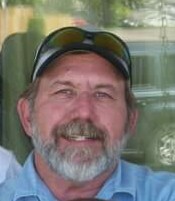 Robert “Rob” William Ebeling passed away at home on Saturday, October 21, 2017 after a 17 month battle against brain cancer. A memorial service will be held on Friday, October 27, 2017 at 11:00 AM at Coles Tribute Center, 1950 Place St. in Baker City, Oregon with Mr. Jim Watt officiating the service. Inurnment will follow the memorial service at Mt. Hope Cemetery in Baker City. Rob was born January 10, 1952 on Cheung Chau Island in Hong Kong to parents William and Beatrice Ebeling; Christian missionaries serving in China. Shortly after his birth they returned home to Michigan. In early 1953 the Ebelings left Michigan for California. Rob spent most of his growing years in California. In high school he enjoyed singing in the Madrigals group, wrestling on the high school team, and working on cars. He has always had a love of NASCAR and was able to attend a few races. He graduated from John F. Kennedy High School in 1970. He went to a trade school where he learned to be a heavy machinery mechanic. In 1974, when Rob was 22, he was driving his 1957 Ford Ranchero when he met the future love of his life, a 19-year-old Anna Plaeth. The two dated for several years and were married in 1978 in Las Vegas, Nevada. The following year they had a daughter, Nichole. In 1982 they welcomed a son, Kyle. The following year the Ebelings moved to Baker City. Rob worked for several years at Humbles Gas Station and Car Wash. He later worked for Phegley Logging for over 20 years. Rob was a hard, modest worker no matter where he was. He desired to do a good job, no matter the task, and he never sought praise. Before he became ill he drove school buses and the Community Connection transport. He loved getting to see all the kids and chat with the adults he transported. The best work Rob ever did was in his home. He was a wonderful husband to Anna and fantastic father to Nichole and Kyle. Rob worked hard in order to make sure his family always had what they needed. Nichole and Kyle were always active in sports, school activities, and church. Rob and Anna were unceasingly supportive of their children. They were at every, game, and performance. Weekends were often spent travelling around the state for competitions. Later in life Rob and Anna were blessed with 4 wonderful grandchildren. Kaizik, Naomi, Ethan, and Agnes brought unending joy to Rob. His life very much revolved around what was going on with the grandbabies. He enjoyed going to all of their sporting events and cheering for them on the sidelines. His favorite times were spent snuggling babies, singing them to sleep, wrestling around, reading books, going for walks, celebrating holidays, spoiling all the kids, and just being in the presence of those he loved. Rob was preceded in death by his parents William and Beatrice Ebeling and his father-in-law Herman Plaeth. He is survived by his wife of 39 years and love of his life, Anna. His daughter Nichole Young, husband Torey, and their children Kaizik, Naomi, and Ethan. His son Kyle Ebeling, wife Phylicia, and their daughter Agnes. His brother John Ebeling and wife Nancy, sister Lura Morrow and husband John, sister Ruth Ebeling, sister Florence Ebeling, sisters-in-law and brothers-in-law Mike and Tammy Skidmore, Brett and Eveie Matthews, and Glenda Plaeth. He loved all of his nieces, nephews, extended family and friends. Our family would like to thank all of our close family, friends, and the exemplary medical staff that have helped and guided us through Rob’s illness. There is no way to tell you how much you have helped and blessed us. In lieu of flowers, donations can be made to Cole’s Tribute Center in Baker City, Oregon to offset funeral expenses. Friends may offer contributions to his family through the Coles Tribute Center website at www.colestributecenter.com; by mail to Coles Tribute Center, 1950 Place Street, Baker City, Oregon 97814, or by delivering them in person. Our family would also encourage you to do as Rob always had, perform a random act of kindness for someone in need without desiring any acknowledgement of the deed done. *** The donation portion of the website may be experiencing some technical difficulties for a few users. If you attempt to make a donation and it does not appear to be working please either mail in your donation, call in with a credit card number, or drop it by the office located at 1950 Place St., Baker City, OR 97814. We are looking into any issues that are brought to our attention.